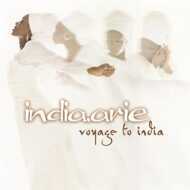 Voyage To India (2002) is Neo-Soul singer India.Arie's second studio record, originally released on Motown. It debuted at number six on the Billboard 200, topping the Top R&B and Hip-Hop albums charts. At the 2003 Grammy Awards, it won "Best R&B Album". Voyage To India is Platinum in the United States.